Top 20 Reasons for Voting this November! Patriots, as we can see the EPA is again goose-stepping even more into our every day lives with arbitrary edicts. WASHINGTON – The U.S. Environmental Protection Agency (EPA) today announced it intends to propose a rule to reduce mercury waste from dental offices. Dental amalgams, or fillings containing mercury, account for 3.7 tons of mercury discharged from dental offices each year. The mercury waste results when old mercury fillings are replaced with new ones. The mercury in dental fillings is flushed into chair-side drains and enters the wastewater systems, making its way into the environment through discharges to rivers and lakes, incineration or land application of sewage sludge. Mercury released through amalgam discharges can be easily managed and prevented. More information on mercury from dental offices: water.epa.gov/scitech/wastetech/guide/dental/index.cfm. More information on mercury and the environment: www.epa.gov/mercury/index.html. The City Club of Cleveland is hosting an Open Debate for the 10th Congressional District of OH. Candidate Peter Corrigan will square off against Congressman Dennis Kucinich on October 12th. Sold out his constituents & supported the Health Care Bill for a bag of peanuts and a ride on Air Force One. Claimed he cares about the elderly then voted for the Health Care Bill that will gut Medicaid & Medicare. Refused to visit our troops on a trip to the Mid-East and instead met with a known terrorist. Tickets will be going fast for the opportunity to watch Congressman Kucinich finally face up & answer to his constituents for his support of the leftist agenda out of Washington. For Reservations call 216-621-0082 or 888-223-6786 (out of area callers). 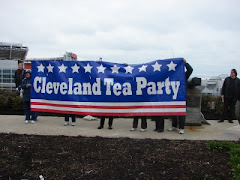 This is in response to Ohio Democrat Party Chairman Chris Redfern’s uncomplimentary description of the Tea Party movement in Ohio (Click for Video) and Governor Strickland’s recent Howard Dean-like anti-Tea Party tirade (Click for Video). First, we would like to thank them both for acknowledging the hard work of the Tea Party movement in educating Ohio voters on the failed policies of the Strickland Administration, and of Redfern's reign as Chairman of the Ohio Democrat Party. In describing the Tea Party movement in Ohio as, “F***ers,” the ODP Chairman has publicly called what many state party chairmen, Democrat & Republican alike, have been whispering under their breath about the Tea Party movement for over a year now. 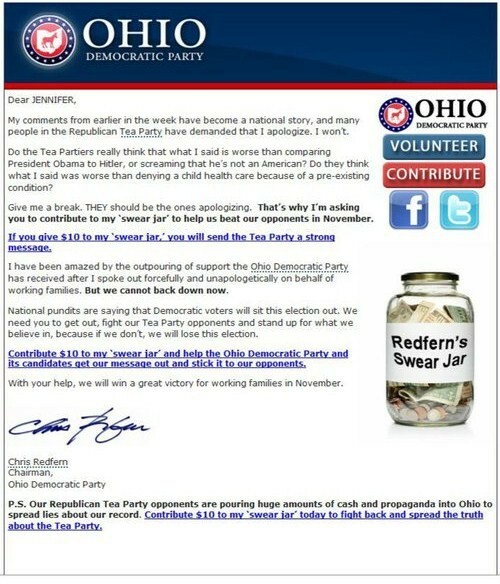 While we do not agree with ODP Chairman Redfern's locker room behavior and potty-mouthed insults, we understand his frustration with the Tea Party as he tries in a fairy tale-like manner to spin "straw," i.e., four years of failed policies, into "gold." He has nothing to spin but wet straw from a state budget deficit of $8 billion, one of the least business-friendly states in the U.S., an unemployment rate of 10.1% , and job losses reaching over 380,000. Furthermore, over 75% of Ohioans think that Strickland's top priority, fixing school funding, has likewise been a failure. Unlike some calling for discussions or requesting an apology from ODP Chairman Redfern for his remarks, the Tea Party Patriot groups in Ohio feel there is nothing to discuss and we will speak loudly with our actions on November 2nd. As for requesting an apology – we figure he owes that to the residents of Ohio. Several Founding Members of The Grassroots Rally Team of Ohio, which has been actively combating ILLEGAL immigration in Ohio (www.grassrootsrallyteam.org) since May 2007, traveled to Columbus on Sept 22 to present the first Award of Appreciation from the Rally Team to Ohio State Representative Courtney Combs (R-Oh 54 district, Butler County) for his sponsoring legislation in Ohio that would protect Ohioans from the adverse effects of ILLEGAL immigration. Of particular note is Ohio HB 184 which Representative Combs sponsored in May of 2009 and would require all Ohio employers to use the E-Verify system to check the legal status of employees. The bill has not moved out of committee since that time, and will expire at the end of this 128th Ohio General Assembly. Representative Combs told the Rally Team that he would be reintroducing this bill in January 2011. 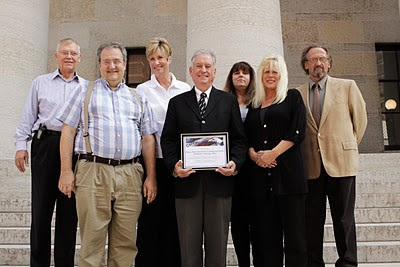 Representative Combs also told the 6 assembled Rally Team members (Below) that he continues to work on legislation for Ohio which will be comparable to the Arizona SB 1070 bill. According to the numbers released by the Reclaim American Jobs Caucus, Texas is the only state where the number of illegal immigrants in the workforce exceeds the number of unemployed citizens. But co-chair Smith said that doesn’t mean other states are not affected by illegal immigration. The Reclaim American Jobs Caucus is a 40 Member, bipartisan caucus, headed by Representatives Lamar Smith, Sue Myrick and Gary Miller. As the national unemployment rate remains near 10%, the Reclaim American Jobs Caucus works to highlight the link between illegal immigration and record unemployment in the U.S. The Reclaim American Jobs Caucus compiled the numbers based off of an August 20 report by the Bureau of Labor Statistics and a September 1 study by the Pew Hispanic Center. Poor Joe doesn't realize his dwindling constituency is slowly becoming nothing more than the radical progressives and liberals out there in lefty land. Many JFK type Democrats & Reagan Democrats are feeling deserted by how their long cherished political party has turned more into a patio party for progressive policies & out of control spending are starting to identify with the Tea Party movement. The vice president also offered a "guarantee" that Democrats will defy predictions and maintain control of the House. “I guarantee you we’re going to have a majority in the House and a majority in the Senate. I absolutely believe that,” Biden said. The vice president conceded that voters are "angry against whoever is in power," but he said that Democrats “have a heck of a record, a heck of a positive record to run on." Yeah.... awesome record Mr. Vice President! With unemployment as it is, our oh-so dandy economic outlook, who knows how many $???? trillion debt, rising health insurance premiums, out-of-control spending, the stampeding of the Constitution & our rights, trying to pass back door legislation, issuing edicts through regulation, and a government growing almost as large as our Presidents head -- you & your progressive pals should have no problem being voted into the Hall of Political Failures! Join thousands of other citizens across the country on Saturday, October 2nd for AFP’s National Neighborhood Canvassing Day. We will hit the streets with family, friends, and like-minded activists to help remind your neighbors that November is Coming for politicians who vote for the big government, tax-and-spend agenda. In Ohio AFP is working with Tea Parties, 9/12 groups, other liberty organizations and activists to distribute the tools you will need for National Neighborhood Canvassing Day. We will provide mapped walking lists and literature to hand out in your communities. Please email one of the below “Super Volunteers” to get details on National Neighborhood Canvassing Day in your area and to get tools to spread the word in your community that Ohio Congress members Driehaus, Wilson, Sutton, Kilroy, Boccieri and Space have voted in lock-step with Nanci Pelosi’s big government agenda. 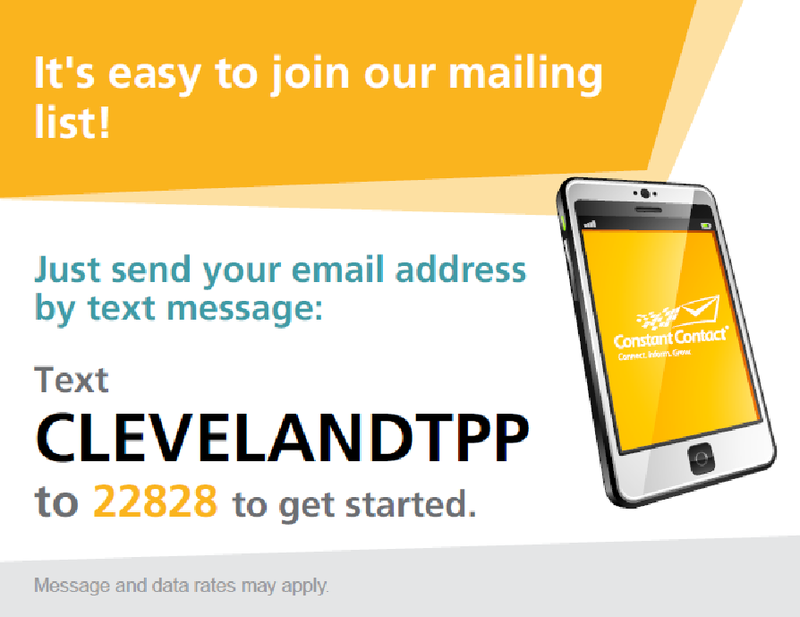 You can also email any questions to infooh@afphq.org. Please watch for more information in the next few days on National Neighborhood Canvassing Day. Today September 23rd, the House will vote on another Lame-Duck session resolution offered by Rep. Tom Price (R-GA). Price’s second attempt to prevent stealth legislation from getting through a lame-duck will be slightly different than his resolution the last time around. Any legislation pertaining to the Immigration and Nationality Act. Anti-English provisions could easily be added to a bill that proposes changes to the Immigration and Nationality Act during a lame-duck, so we want to make sure that doesn’t happen! Limiting a lame duck session will decrease the risk of Congress attempting to jam through stealth legislation. Call and email your representative now and tell them to support the Price "Limit the lame-duck resolution" by voting YES TODAY! In an interview with the Washington Times, Tea Party Patriot co-founders, Mark Meckler & Jenny Beth Martin, talk about the $1 million donation we received and how it will be dispersed to the local groups. Organizers behind one of the largest "tea party" activist groups said Tuesday they have received a $1 million commitment to help grass-roots organizations for the midterm elections and said they were ready to take up President Obama's challenge to offer specifics on fixing the nation's problems. The Tea Party Patriots — which claims connections to more than 2,800 smaller groups — will receive the money through an anonymous donation and will distribute the money by Oct. 4, backers said. Though Tea Party Patriots organizers said the grants are to help those smaller groups improve their organizational efforts during the final weeks of the general election, the money cannot be used to endorse a candidate. The only other restriction is that the money must be used to further the movement's core tenets of limited government, fiscal responsibility and free markets. 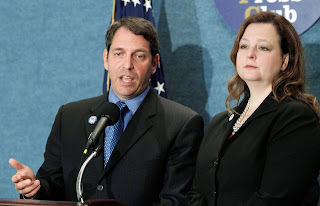 "This is to help groups on the ground become more efficient, not tell them what to do," Mark Meckler, the Tea Party Patriots' co-founder and national coordinator, said at a news conference at the National Press Club in Washington. He said the group also is responding to President Obama's call Monday for members of the movement to identify specifically what they would do to help revive the economy and create more jobs. In a televised town-hall meeting on CNBC on Monday, Mr. Obama acknowledged the legitimate concerns of tea party activists, but added, "The challenge for the tea party movement is to identify specifically what would you do." Jenny Beth Martin, the Tea Party Patriots' other co-founder and national coordinator, said the group is "happy to take [Mr. Obama] up on that." Please click here or on the below picture to submit your ideas on how to fix the economy. In a local OH House race that is sure to be exciting, Mike Dovilla, Candidate for the 18th Ohio House District, recently received the endorsements of the Ohio Patrolmen’s Benevolent Association and the Ohio Restaurant Association. Dovilla, a small business owner, a U.S. Navy officer and decorated combat veteran of Operation Iraqi Freedom, is challenging current State Rep. Matt Patten, a community organizer, for this seat. The 18th District is composed of Berea, North Royalton, Olmsted Falls, Olmsted Township, and Strongsville. For more information on Mike Dovilla click here. For more information on Matt Patten click here. Washington, DC, Sep 15 - Today, U.S. Congressman Hal Rogers (KY-05) spoke at the FACES of Coal rally on Capitol Hill and energized hundreds of coal miners who traveled from all over Appalachia to make sure their voices were heard. Rogers spoke out against the EPA’s war on coal and introduced legislation, H.R. 6113, the Electric Reliability Protection Act, which would stop the EPA and Administration’s attempt to regulate coal mining out of business. “At a time when our nation faces 9.6% unemployment, bureaucrats in Washington are trying to put an entire sector of our economy out of business,” said Rogers. “From the devastating Cap and Trade bill, to the EPA’s absurd directives on carbon dioxide, to continued delays in the coal mining permitting process, the Administration is threatening 1 out of every 4 Appalachian coal mining jobs. Because of these political games, 2 billion tons of coal are going untapped – that is enough to power the nation for two years. In effect, this bill would stop the Czar like tactics of EPA Director Lisa Jackson and would force the EPA to allow the public a chance to voice our opinion on the heavy-handed regulatory tactics being implemented to destroy not only the coal industry -- but small business which are being stealthily attacked under the guise of the Integrated Urban Air Toxics Strategy. Helping to enable these guerrilla-like tactics by the EPA are Congressman Dennis Kucinich, Congresswoman Betty Sutton (OH -13) & Congressman John Boccieri (OH-16) -- all supporters of the House Cap & Trade bill. With Ohio bleeding jobs and a predicted $8 billion bust in our state budget (thanks to Governor Strickland) one would think these three Pelosi puppets would do everything in their power to do what is best for OH. But we see that is not the case and it appears they would rather see our state unemployment rate and your electric rates go higher than the national debt! Please contact these N/E Ohio Congresscritters, urge them to sign on in support of the Electric Reliability Protection Act and if they don't.... remind them November is coming! While we wait for Harry Reid to try and ram through a watered down version of a Cap & Trade bill through the Senate, the EPA is bypassing legislation & quitely imposing their will through regulation of the Clean Air Act. With the failure to pass the Murkowski Resolution, the EPA, using the Clean Air Act & the Integrated Urban Air Toxic Strategy as their hammer, a stealth form of Cap & Trade is currently being imposed & expanded from attacks on the coal industry to the manufacturing sector and small businesses. “EPA’s drive to put costly new burdens on manufacturers continues to create uncertainty and harm manufacturers’ ability to compete in a global economy. Two of the EPA’s more recent regulatory actions include proposing lowering ozone limits and putting stricter emission standards on industrial boilers. According to two new studies, the EPA’s current path and proposals will add costly new burdens to manufacturers and destroy millions of jobs. Today the Manufacturers Alliance/MAPI released a study showing the EPA’s proposed ozone standards would cost 7.3 million jobs by 2020 and add $1 trillion in new regulatory costs per year between 2020 and 2030. And, while the EPA has publicly acknowledged that its own research shows there is no basis for proposing changing the ozone standards, the Agency continues to move ahead. In addition, the Council of Industrial Boiler Owners (CIBO) today released a study that shows the EPA’s proposed rules to restrict emission limits on industrial and commercial boilers and process heaters could put 300,000 jobs at risk. The CIBO study also concludes that every $1 billion spent on compliance would jeopardize 16,000 jobs. After realizing the Andover (OH) Tea Party's Constitution Day event was not about serving "tea & cookies," the Andover Township Trustees tried goose-stepping on the 1st Amendment -- Judge Donald C. Nugent, a former Cuyahoga County Common Plea judge & a Democrat, would allow no such infringement. A federal judge on Wednesday overruled a small Ohio town that had blocked a local Tea Party group from holding a Constitution Day rally in the town's public square because it was deemed too political. The town trustees who tried to block the rally "need to learn the Constitution," Peg Slingluff, a local Tea Party organizer, told FoxNews.com. "Who's been living under a rock for the last 18 months that they don't know what the Tea Party is," said attorney Christopher Finney, another member of the group's legal team. The trustees denied the group access to the park based on a township resolution that allows officials to determine public space usage "on a case by case basis" and to ban speech that they deem too "political." Judge Nugents respect for law is beyond reproach. 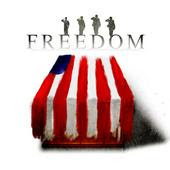 In a 2007 ruling, regarding protesters at a military funeral of a fallen soldier, Judge Nugent upheld the law limiting protests at funerals. Celebrate the signing of the Constitution on Constitution Day. An evening of music and calebration with like minded people. Peter Corrigan, who is running against Denns Kucinich in the 10th Congressional District is endorsed by the Cleveland Fire Chief's Association. We welcome & protect criminals illegally entering our country with open arms, people calling for the destruction of our country & the killing of Americans get carte blanche treatment, the President of Mexico can slam our country and he gets a free dinner at the White House... call President Obama a name -- you get banned from the country! And here is more proof that President Obama's so called "tax cuts" for the middle class will hurt small business. This would be the small Mom & Pop type business that built this country. These so called cuts will kill the small to medium size companies that in the aggregate employ millions of Americans across the country. Advocates of allowing the top two federal income tax rates to expire claim that only 2 or 3 percent of businesses would be affected, but a new Tax Foundation report shows that more than one-third of the revenue from an increase in the top two rates would come from business income. "The fact that 'only' 2 or 3 percent of taxpayers with business income would face higher taxes is meaningless to the debate," said Tax Foundation President Scott Hodge, who authored the paper. "What matters most is not the number of taxpayers impacted, but the amount of business income - and, therefore, business activity - impacted." Tax Foundation Special Report, No. 185, "Over One-Third of New Tax Increases to Come from Business Income," is available online at http://www.taxfoundation.org/publications/show/26696.html. More than 74 percent of tax filers in the highest tax bracket report some business income, compared to 20 percent of those at the lowest bracket. Of the roughly $864 billion in taxable business income reported on individual income tax returns in 2008, nearly 68 percent was claimed by taxpayers earning more than $200,000, and 35 percent was claimed by taxpayers earning over $ 1 million. "This means that the combined business income of every taxpayer earning up to $200,000 was still less than the total business income of taxpayers earning more than $1 million," Hodge said. More business income is taxed under the individual income tax code as "pass-through" businesses (non-corporate firms such as sole proprietors, S-corporations, Limited Liability Corporations and partnerships) than is taxed under the traditional corporate income tax code. The number of pass-through businesses nearly tripled between 1980 and 2007, from roughly 10.9 million to more than 30 million. The number of traditional C-corporations declined steadily from 2.2 million in 1980 to 1.9 million in 2007. In the same time period, net receipts for C-corps roughly doubled, from $752 billion to $1.4 trillion, and net receipts from pass-through entities saw a six-fold increase, from $315 billion to more than $1.8 trillion. There's a lot of press chasing the latest doings of the administration, and the vocal opposition to its agenda. You can't turn on the news without seeing a story about the health care debate, or the economy, or Cap and Trade. The debate is a good thing, and people who never cared about such issues before have suddenly found themselves chest-deep in the intricacies of legislation, discussing the Constitution. That renewed interest can never be bad for our republic. What concerns me is the image portrayed by our opposition. First, let's think about the goal here. Is the highest goal to keep a given piece of legislation from being passed? If so, then how do we make that happen? The obvious answer is to amass enough public opposition to render it politically impossible for Congress to pass it. This is why the town hall meetings have been so compelling; people are attending these events in unprecedented numbers to make their opinion known, especially on the health care legislation. Is it having an effect? A little bit. It might result in a watered-down version of what's currently on offer being passed. But make no mistake, unless there's a radical change in the typical congressvarmint's point of view, this bill, in some form, WILL PASS. So how do you change the view of Congress? My opinion is that you do it by reaching some of their base who do not currently agree with you. That takes many forms, but a good example is Tracy Miller's attempt to explain the health care legislation at an aborted Sheila Jackson Lee town hall. Sheila moved her town hall, and Tracy ended up at the original location. There she met several people who were supporters of the congresswoman, but who didn't know much about what was in the bill. She spent time that evening talking to those people and giving them facts and excerpts from the bill, and found common ground with them. She gave them something that was in short supply from Sheila Jackson Lee - information. That's a valuable outreach effort. Would Tracy have had that opportunity to reach these SJL supporters had she charged in with her Obama Joker poster held high? I really don't think so. Would they have been receptive to anything she had to say? Probably not. Tracy knows this, and acted accordingly. We should all take a page from her book, and learn something about image. When Houston Tea Party Society hosted tea parties, we did our best to encourage people to focus on Congress as their targets. Putting the focus on the newly-elected, highly popular, still-honeymooning president would only serve to make those supporters dig in their heels and root their support even deeper. Congress was (and is) a much smarter target choice, and as Tracy found in an early SJL town hall, rich with material - as when SJL pretended to listen to Tracy's question and talked on her cell phone at the same time. That video landed the congresswoman, and Tracy, on the Fox News Channel. The point here is that without the distraction of an altered Obama photo, without the distraction of a Sheila Jackson Lee voodoo doll, the story became Sheila Jackson Lee's behavior. Add those distracting elements into the picture, and the media would be reporting on the poster, on the doll. Is that the story we want to tell? Is that the goal; to get a chuckle out of people who agree with us? Or is the larger goal to prevail, to sway more people on the fence to agree with us, to amass the numbers we need to force Congress to abandon their socialist plans? You can go for the cheap laugh, or you can go for the win. It's up to you. But if you go for the laugh, don't be surprised if we aren't all laughing along. Some of us would like to keep the focus on the issues. POLITICO reports today about the fading taboo of Sept. 11 politics: Marginal groups are holding dueling mosque rallies in New York that day, while across the country politicians tiptoe back toward having certain, relatively low-key political events that day. The story doesn't make mention of any candidate fundraisers, but Ohio Senate candidate Lee Fisher is crossing that line as well, with a campaign fundraiser that evening at the home of a Mansfield City councilwoman, Ellen Haring. Asked about the timing, a Fisher aide noted that earlier that day, the Democrat is attending a first-responder dedication ceremony in Hilliard, Ohio. Fisher is, as far as I know, the only federal candidate in the country holding a fundraiser that day. Remember this quote from Ted Strickland way back in 2006? "Let me tell ...you this: I am so committed to solving this school-funding issue that if I become governor, and I do a lot of wonderful things but I fail to address this school-funding issue, I will have been a failed governor," Strickland said." So 94% of Ohioans are now susceptible to Strickland's own qualification of defining him as a failed Governor. (ST LOUIS, MO) August 25, 2010 Thousands of Tea Party Patriots from across the Midwest are expected to converge in St. Louis on September 12, 2010 to rally in support of restoring founding U.S. principles, in protest at the size and scope of government, and in support of current efforts to repeal legislation that they believe has been forced upon them and will not deliver on its promises. The rally will be held under the Gateway Arch with speakers and music on the Riverfront Stage. Music will begin at noon; speakers to begin at 1 p.m. The event is free and open to the public. KFTK 97.1 FM Talk serves as the official radio sponsor. “Our theme this year is ‘Recycle Government’ – to repeal ObamaCare, reduce government spending, and restore the principles of fiscal responsibility, limited government, and free markets that make this nation great and free,” says Jenny Beth Martin, co-founder and national coordinator for Tea Party Patriots, the largest network of voluntarily affiliated tea party and 9/12 groups in the country. One of those groups, the St. Louis Tea Party, is a co-sponsor of the event. “We’re thrilled to welcome tea partiers from across the nation to St. Louis, the very heartland of America. St. Louis supports the Tea Party Patriots and looks forward to welcoming grassroots groups from all over to the event,” says Dana Loesch. Loesch and Bill Hennessy are founders of the St. Louis Tea Party. The “9/12” rally, as its come to be known, first took place on 9/12/2009. More than 850,000 people converged on Washington, D.C. to protest out of control government spending, the erosion of personal liberties, and the bailouts of troubled industries. This year, the “9/12” rally will be held in St. Louis and Sacramento, CA in addition to Washington, D.C.
St. Louis participants will hear music from country music legend Sammy Kershaw; former American Idol contestant Krista Branch; Neil E. Boyd, winner of America’s Got Talent and St. Louis diva Kim Massie. Speakers will include US Congressional Representative Steve King, radio and Internet personalities, and grassroots organizers from Illinois, Indiana, Tennessee, Ohio, Maine, Georgia, and Washington. 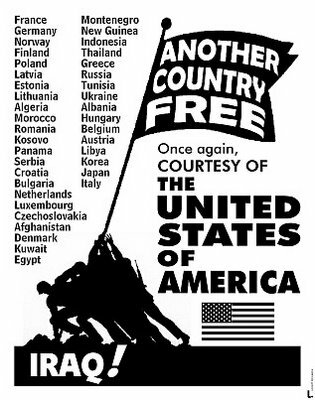 Tea Party Patriots, Inc. ("TPP") is a non-partisan, non-profit social welfare organization dedicated to furthering the common good and general welfare of the people of the United States. TPP furthers this goal by educating the public and promoting the principles of fiscal responsibility, constitutionally limited government and free markets. Tea Party Patriots has not endorsed candidates for public office.